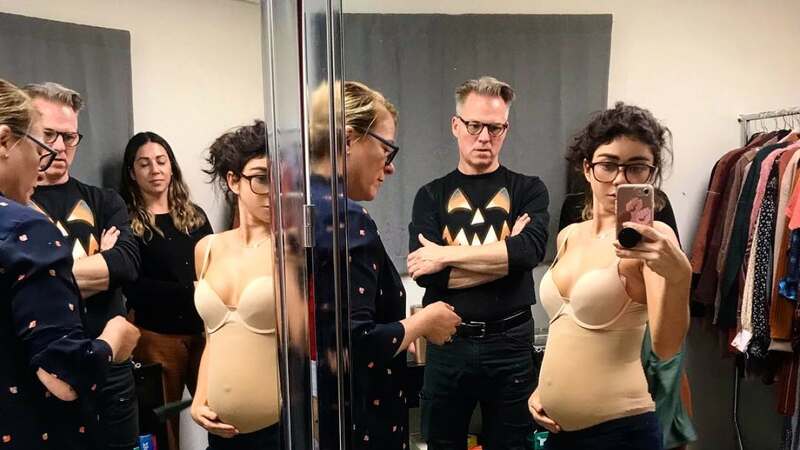 "Modern Family" star Sarah Hyland is having fun with her character's pregnancy. The 27-year-old actress, who plays Haley Dunphy on the ABC sitcom, joked about the surprise plot line in an Instagram post Thursday following Wednesday's episode. 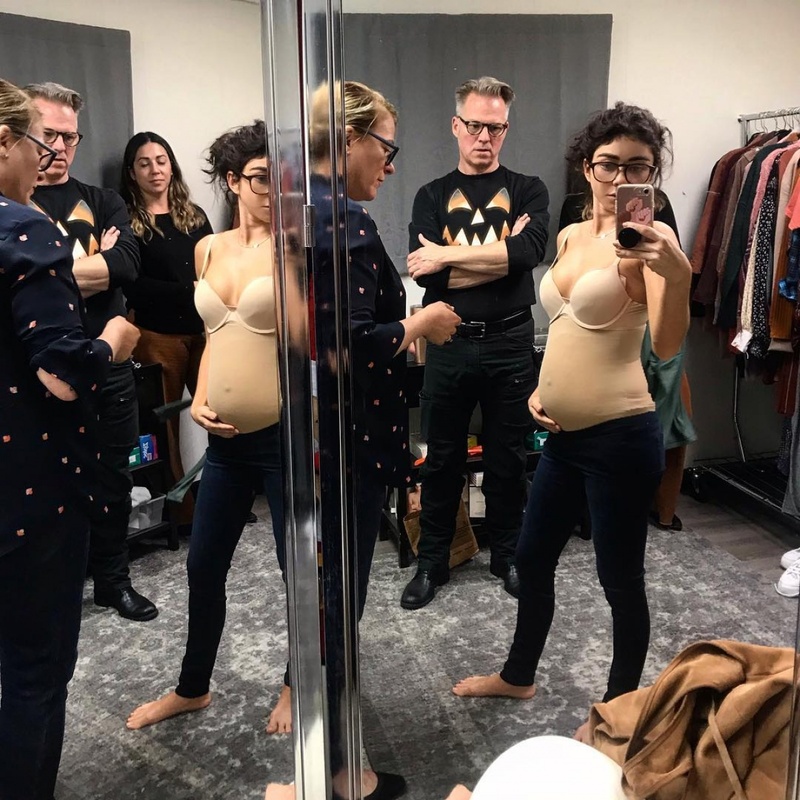 Hyland shared a photo of herself wearing a fake baby bump on the show's set. She referenced her character's growing belly in the caption. "Well I guess the cat's outta the bag!!! Or more like the bump's outta the shirt!..... that was a horrible joke. I apologize," the star wrote. Haley discovered she's pregnant during Wednesday's episode while visiting the hospital for a bumper car injury. Hyland answered fan questions Wednesday on Instagram Stories, saying she's known about the story line for months. "Before the season started. But. I had zero information on details!" the star said. Hyland had teased a big surprise for Haley in an interview with The Hollywood Reporter in October after DeDe Pritchett (Shelley Long) died during the Oct. 24 episode. "[It's a] bigger thing than the death," the actress said. "It was shock, that's for sure." "There's a lot happening with Haley, but I can't say," she added. "Modern Family" co-stars Ed O'Neill, Sofia Vergara, Julie Bowen, Ty Burrell, Ariel Winter and Nolan Gould. It is unclear whether the show will continue after Season 10.